I really like this series. 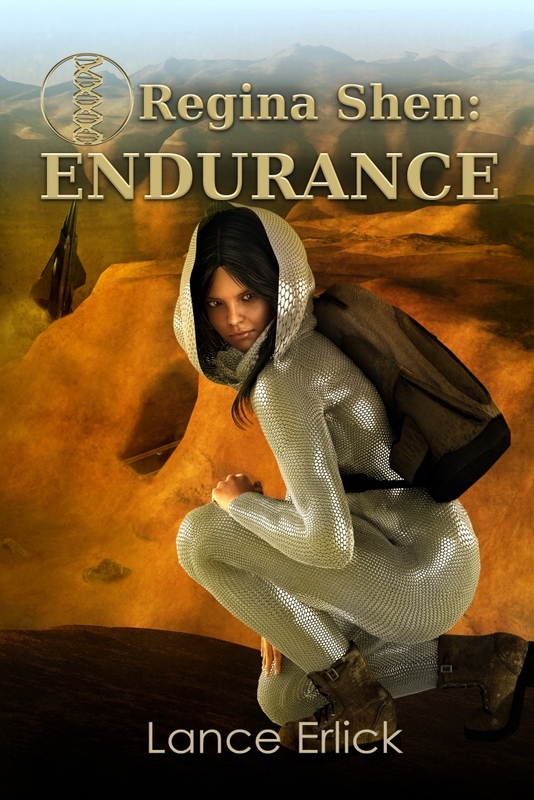 Endurance is the fourth book in the Regina Shen series. Lance Erlick’s writing flows well and his descriptions are great. He has the ability to make you feel like you’re actually there. Regina Shen only has one goal: to save her sister from the Department of Antiquities; however, she’s beginning to think that there’s more to her destiny once she does save her sister. Regina continues to grow as a character and is a very strong young woman. There is so much corruption in the Federation that no one can be trusted. Inspector Demarco is close to losing her job to Volpe, who was once her inferior, and instead of working together to find Regina, they’re each trying to find her first. Regina knows she can’t trust either one of them but sometimes it’s necessary to choose the lesser of two evils. But will that work out for her? I really like this series. It is full of action and suspense and this book had several twists. I’m hoping there’s another book to come. This entry was posted in Action/Adventure, Regina Shen Series, Science Fiction, Stories, Thrillers, Young Adult and tagged abrupt climate change, dystopian, overcome adversity, Regina Shen, science fiction, survival, thriller, young adult by flwq1578. Bookmark the permalink.